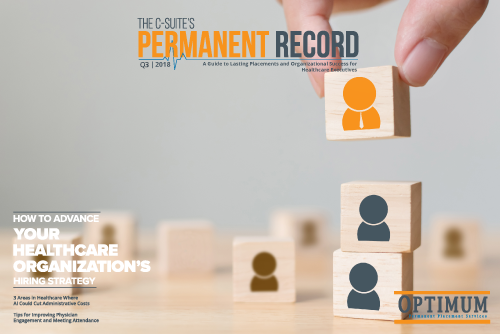 A guide to lasting placements and organizational success for healthcare leaders. 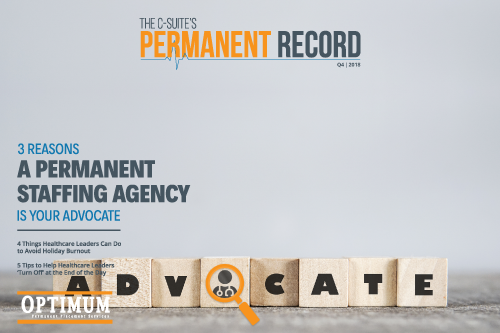 3 Reasons a Permanent Staffing Agency is Your Advocate, 4 Things Healthcare Leaders Can Do to Avoid Holiday Burnout, and more. 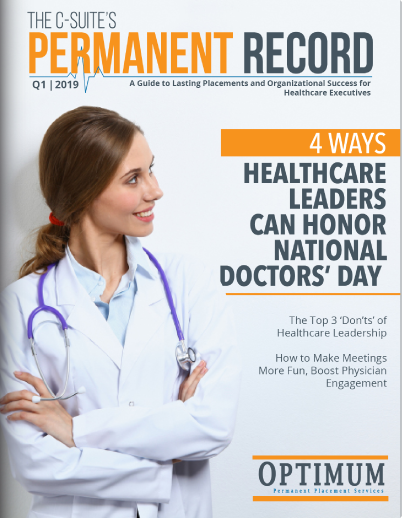 How to Advance Your Healthcare Organization’s Hiring Strategy, 3 Areas in Healthcare Where AI Could Cut Administrative Costs, and more. 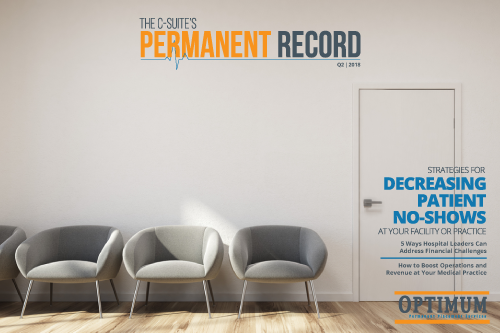 Strategies for Decreasing Patient No-shows at your Facility or Practice, 5 Ways Hospital Leaders Can Address Financial Challenges, and more.